6. Random sampling will occasionally produce unrepresentative samples. Significant deviation of a sample from the population sampled is in fact very rare. For example, in a population evenly split between men and women, the chance of having fewer than 40 women in a sample of one hundred people is less than 2%. The chance of having fewer than 30 woman is less than 2 in 10,000. And the chance of having 20 women or fewer is less than one in a billion. The current U.S. Senate (a body of 100 people) has 20 women. It is the highest number of women senators in U.S. history. 7. Since there are many population characteristics, the sample would be unrepresentative according to some of those. Again, because the chance of significant deviation is so small, even if many characteristics are considered the chance that any of them would show significant deviation is small. For example, over one million characteristics would have to be considered before it would become likely that a group which is a minority of a third according any of those characteristics gains a majority in a sample of 200. 8. The lucky few who are selected will often serve personal or narrow interests rather than those of the people. 1. It would be madness to appoint public officials by lot. No one would choose a pilot or builder or flutist by lot, nor any other craftsman for work in which mistakes are far less disastrous than mistakes in statecraft. The problem with this ancient argument against sortition (attributed to Socrates) is that it implicitly assumes that there is some consensus around who should be running the state (those are the pilots, builders or flutists of politics). If there was such consensus politics would be very simple. Politics to a large extent is about identifying whose advice should be taken on which subject. The pretense of elections is that the voters can identify such people. This is a fantasy. A small group, meeting together and discussing and examining matters in depth, would be able to do a much better job of getting the best advice than the citizens can do as isolated individuals. In fact, most voters already know that – they tend to be very disapproving of elected officials – the very people whom they supposedly selected as being the best suited to handle statecraft. 2. Average people suffer a great many shortcomings (some combination of stupidity, laziness, apathy, greed, selfishness, lack of education, lack of experience, inability to work together with others, etc.). This Salon article, This is how the oligarchy wins: Money, politics, and the perils of part-time lawmakers argues that a well-paid, full-time ‘professional’ legislature is more likely to enact laws that the majority of citizens support. Political scientist Patrick Flavin has focused his attention on the question of equality of representation. He created an index of how equal legislatures were in responding to constituents across income groups. He tells me that his still-unfinished analysis suggests that professionalized legislatures might have more equal political representation. One reason may be that professional legislatures are less susceptible to organized lobbying interests. Although the citizen legislature has a certain appeal, seeming to reflect the democratic ideal, in fact such legislatures are more open to manipulation from professionalized interest groups. The article doesn’t consider what a statistically-representative legislature — a non-professional but well-paid citizen legislature — might do. 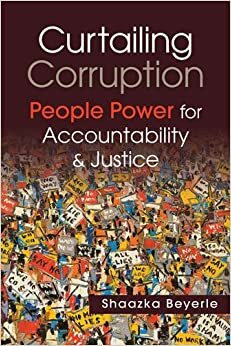 A new book by Shaazke Beyerle, Curtailing Corruption: People Power for Accountability and Justice, describes grassroots efforts around the world to fight corruption. In one of the cases described a randomly chosen group of regular citizens in Korea served as a ‘citizen jury’ that confirmed results of an investigation into political corruption. The outcome of this ‘people power’ campaign was that over 50% (58 out of 112) of the politicians identified as corrupt dropped out of the race, and of the blacklisted candidates who did run, 68% (59 out of 86) were defeated.